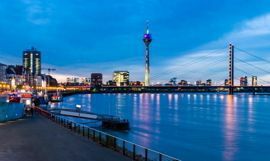 Dusseldorf is one of Germany's most visited cities famous for not only its fabulous beer but also boundary-pushing architecture, dazzling nightlife, and excellent business centers. 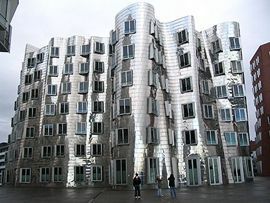 This area is also considered as the wealthiest city of entire Germany due to the highly developed fields of advertising, TV communication, fashion, and, of course, banking. So, once you are here and rent a van with a driver in Dusseldorf to spend your vacation with family, you should, by all means, take the direction to such remarkable places of interest as Wildpark of Dusseldorf, Neanderthal Museum, Phantasialand, Dusseldorfer for Marionettentheater, Rhine Tower and Hofgarten park. To rent a minivan in Dusseldorf or any other European city has become easy if you do it with 8Rental. It is the service you can apply anytime you need and be sure you will be serviced to the highest level! We "tailor" every order to the client's convenience. We try to provide any amenities our customers would like to get in the vehicle they book. Additionally, 8Rental organizes strict supervision over every order to make sure the tour passes smoothly with no problems. The safety of our clients is a priority for us! We put the customer satisfaction level above everything! language your driver should master. After this is done, all that is left is mentioning your name, surname, and contacts. Send the request and expect your booked vehicle right at the Dusseldorf airport! Dealing with 8Rental, you are guaranteed with unforgettable driving experience in Dusseldorf. Rent a van with a driver in Dusseldorf and enjoy every minute of your stay in the magnificent German city. The range of minibusses 8Rental has to offer its clients includes several most practical, comfortable and at the same time elegant-looking models. Depending on how many travelers will be included in your group, you may rent a Mercedes Viano, V class or Sprinter (standard and VIP options available). Al these cars in excellent condition and won't ever let you down on the road. In case your group is built of around eight people, it will be wiser to choose Mercedes Viano. This compact van is equipped with every amenity for having a comfortable driving in Dusseldorf. For larger groups, meanwhile, 8Rental suggests booking Mercedes Sprinter designed for accommodating twenty-four passengers. It is an impressively more spacious model. It features a line of specs including air conditioning, air suspension, central heating, tinted windows, an advanced audio system, etc. If you wish, you can order additional specs such as a minibar, a TV, etc. No matter, which model you choose to hire a chauffeured van in Dusseldorf, you can be sure of its reliability. Traveling to Dusseldorf, you can no longer worry about taking your driving license with you, as 8Rental offers cars exceptionally with drivers. All of our specialists are experienced, skillful and responsible. Entrusting your transportation in Dusseldorf to them, you won't ever regret! Just sit back comfortably, chat with your friends, colleagues or family members, and let the chauffeur you booked drive you all around Dusseldorf! Our credible drivers speak German, English, French, Russian and several other languages. Hence, feel free to order the driver you will enjoy communicating. Stopping your car rental choice on 8Rental car supplier, you are sure to benefit a lot! Besides the beautiful van and a skillful driver, 8Rental can provide you with a series of other amenities such as free fuel, insurance, optional vehicle specs, meeting at the airport, etc.